Alan McCorkindale, with twenty-eight years of winemaking experience, creates wines from New Zealand’s cool climate South Island wine regions for Paua Bay Wines. Ask any New Zealand wine enthusiast to name their top ten winemakers - or even limit it to five - and the name Alan McCorkindale is bound to feature, alongside others like Larry McKenna, Tim Finn and Kevin Judd. 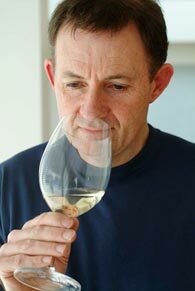 Widely regarded as one of New Zealand’s leading winemakers, particularly for aromatic white wines including Sauvignon Blanc, Pinot Gris and Riesling, his minimalist approach gives his vibrant wines purity of fruit and intensity. 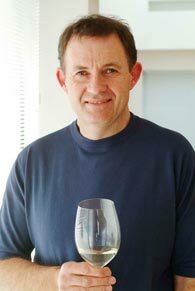 Alan has a Bachelor of Applied Science degree in Oenology from Australia’s Roseworthy Agricultural College where he graduated as dux, and winner of the Leo Buring medal, in 1983. He spent ten years as winemaker at Corbans Stoneleigh Vineyard in Marlborough and has winemaking experience in Australia, Germany, Burgundy, Champagne and Alsace in France. Wines Alan has produced have been awarded many gold medals and trophies, including ‘White Wine of the Year’ at the London International Wine Challenge and Champion Wine twice at the Air New Zealand Wine Awards.